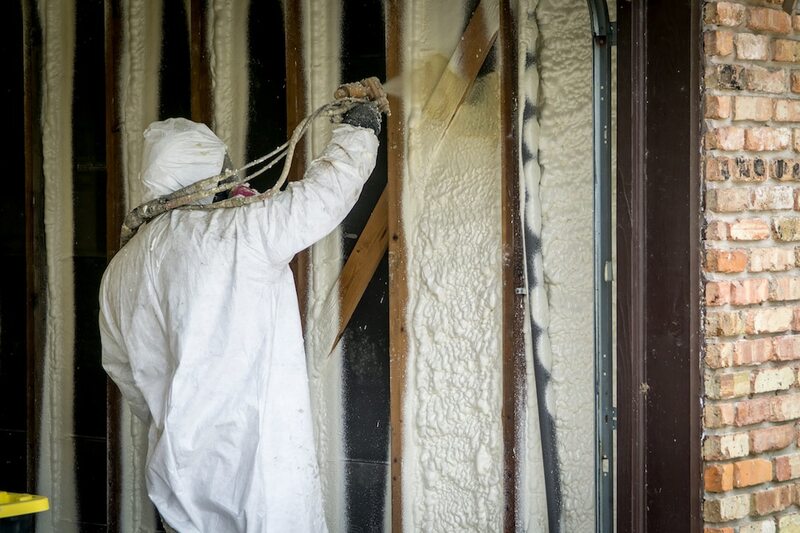 At Spray Foam Insulation Indianapolis, we work for both commercial and residential clients. We are the true champions in closed and open-cell spray foam insulation. Our products can be used in various applications including walls, floors, attics, sound-room, wine rooms, storage containers, metal buildings, etc – so, yeah, virtually everywhere! 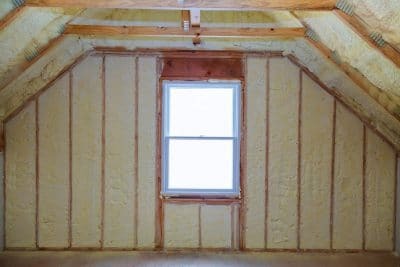 Spray Foam Insulation has been working for years and making people who are looking for the best insulation services smile. From a humble beginning, we have now established ourselves as an industry leader in the spray insulation community. We have served both small home and mega builders. So, no matter the size of your project, we will handle it like pros! Being environmentally conscious isn’t just a new trend these days – it’s a way of life. From air conditioners to cars, everything is being designed and advertised as eco-friendly. 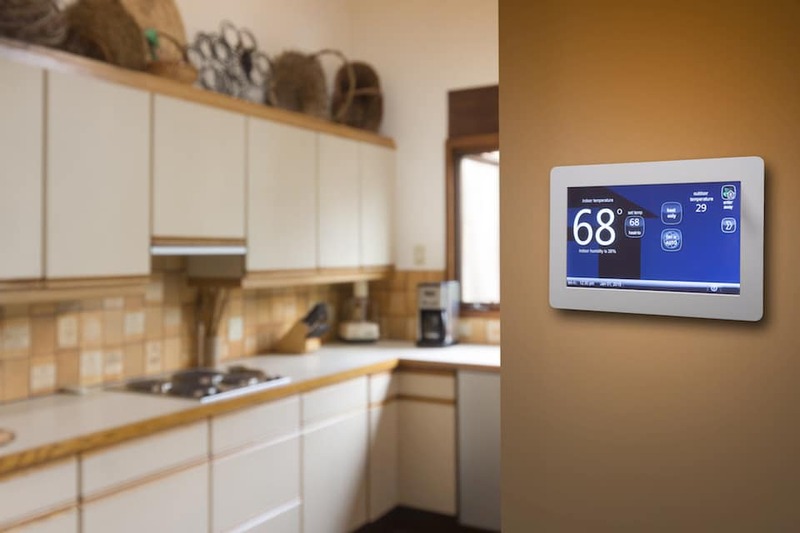 Having said that, homeowners and builders are looking for greener practices too, which means lower power bills and healthier home and office environments. We’ve been helping homeowners and home builders provide exactly that at both residential and commercial levels. 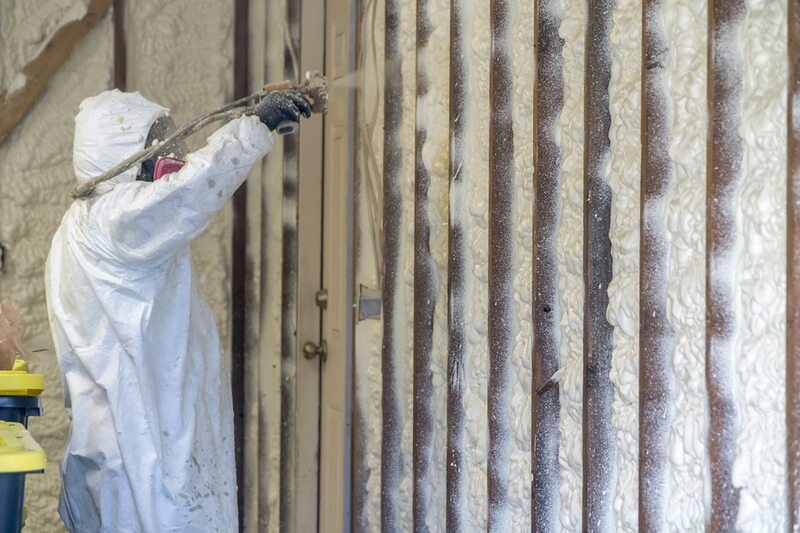 Can spray foam help improve indoor air quality? Do you know indoor air quality is one of the greatest health concerns in the United States? According to the EPA (Environmental Protection Agency), the number of people suffering from some kind of respiratory disease is steadily rising in the country. The agency states that more than 50 million US residents suffer from a respiratory disease. Now, that’s a big number and a problem worth talking about. 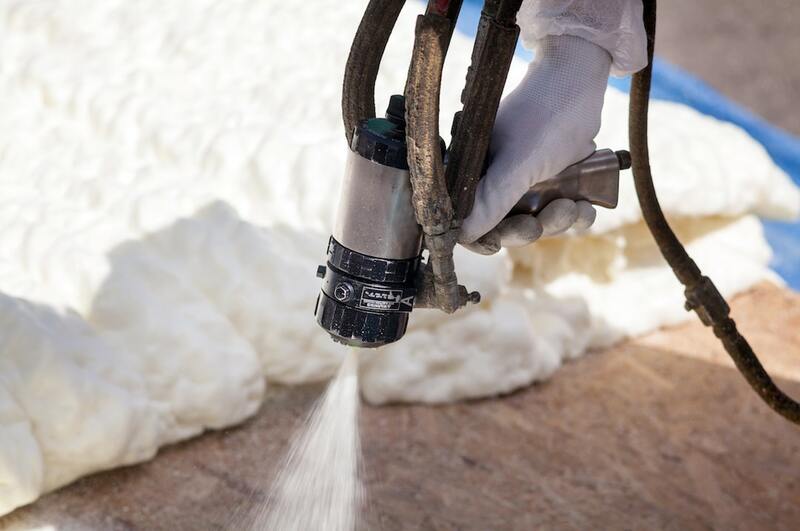 A solution (or at least a partial solution) worth talking about is spray foam insulation. All spray foams, open and closed-cell, are safe. Even the higher density varieties of spray foams are completely safe. Chemically speaking, they are inert, which means they don’t react with any other substance. 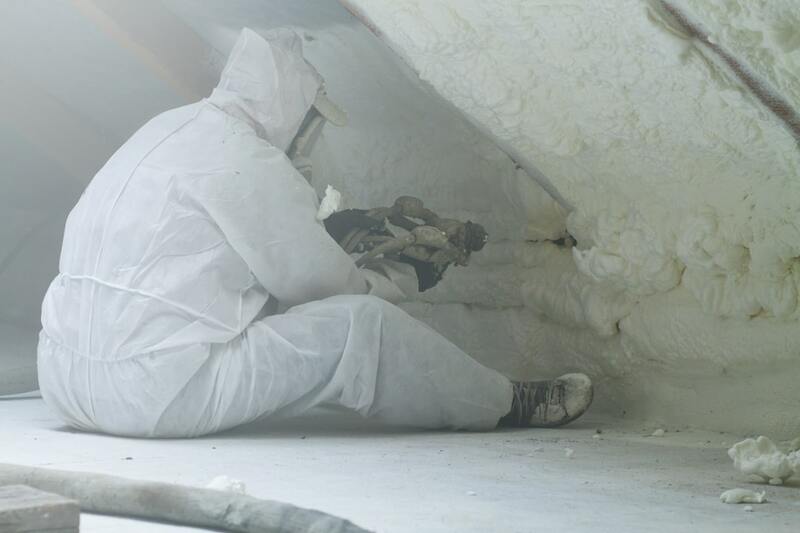 One of the main advantages of spray foam is its ability to create a perfect air seal. This results in controlling vapor transmission, mold growth and condensation issues, which is a big plus for the occupant’s health. Mold comes into action whenever the humidity level is high for a longer period of time or there are condensation issues. Proper insulation helps with condensation as well as keeping the humidity level in check. This is why almost all contractors and home builders love spray insulation. 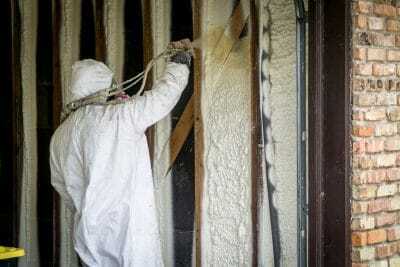 Spray Foam Attic Insulation: Better Than Fiberglass? Here’s the thing about fiberglass insulation. Typically, this type of insulation is applied to the ceiling. It is basically designed to trap the heat inside, which is not what we ideally want in Indianapolis. On the other hand, spray foam is like a breeze of fresh air. It prevents more than 85% of the sun’s heat from entering your house or office. The attic spray foam insulation seals the entire roof and attic. The attic is no more vented and actually becomes part of the air conditioning. All this allows you not to worry about sealing the ceiling. By making the air conditioning more effective, you don’t have to deal with those high temperatures at attic level. 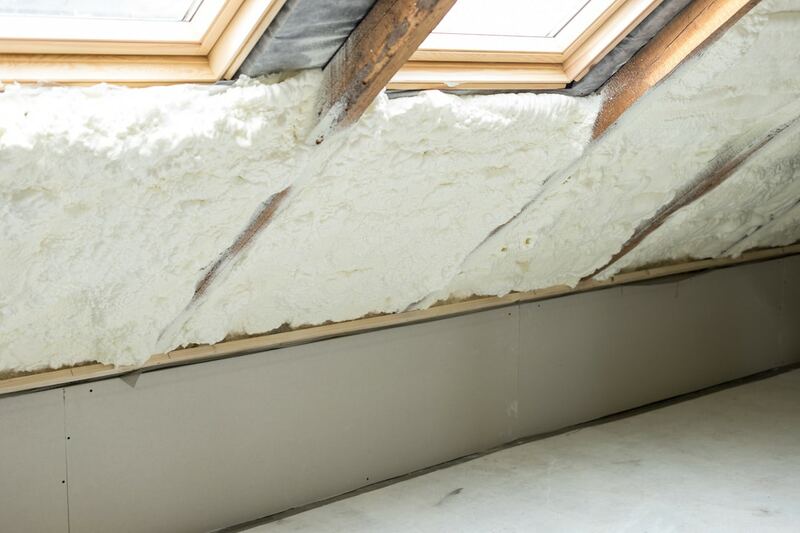 Attic spray foam insulation creates an environment where the attic temperature is only slightly higher than the living space, if any higher at all. In contrast to that, a normal roof space’s temperature can get up to as high as 150 degrees. As a result of all this, you save big time on heating and electricity bills. 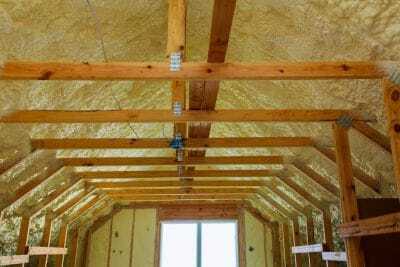 If breathing in fresh, uncontaminated air is what you want, fiberglass and cellulose insulation (especially old ones) is not going to satiate your lungs. With the passage of time, you’ll have to deal with the evils of mildew, mold, dust, animal droppings and dirt. The atmosphere inside your room will soon begin to deteriorate and make life tough inside, especially for people with asthma or dust allergies. The spray foam attic insulation will keep the attic floor cleaner, cooler and make the environment inside more breathable. 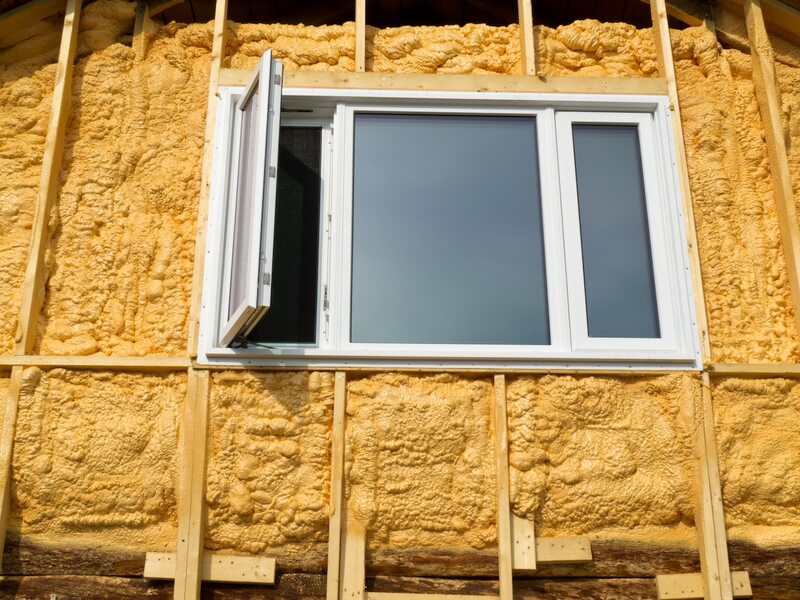 So, yes – if you want to save on utility bills, add more value to your property and above all, give the occupants a healthy environment to live in, then go for spray foam insulation. Spray Foam Insulation Indianapolis is your friendly insulation contractor that can take care of all your insulation needs – call us now to experience world-class service! 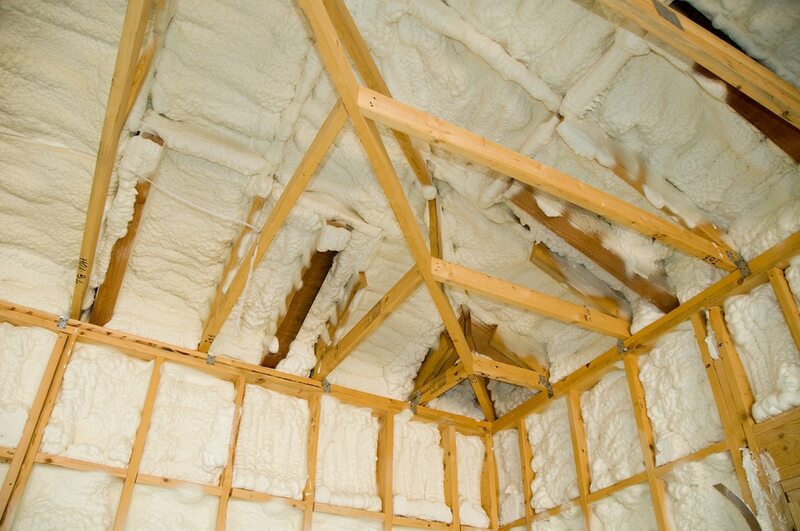 Spray foam is air conditioning-friendly. Very friendly, indeed. Ever wondered why your A/C starts with that initial burst of hot air? This is because the ductwork of your A/C is always being barbecued in the average outside temperature. Fiberglass and other insulation techniques can only control the temperature below ceiling level. Above ceiling level is a completely different story. It’s usually an oven-like environment there with temperatures reaching often above 120 degrees. Thanks to the super radiation from scorching Indianapolis sun. After turning your air conditioner on, the first thing the system will do is to try and cool down to an operable level. The spray foam, as you know contributes to cooler attic temperature, which results in reduced time required to reach that desired level of temperature. 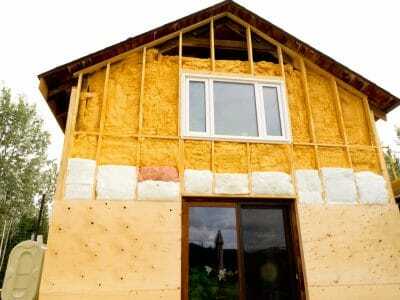 Proper insulation doesn’t only save on electricity bills but also cut down on installation and maintenance cost. 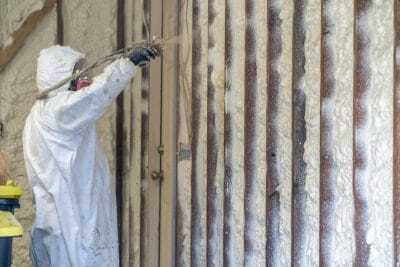 The cost of spray insulation is a bit higher compared with other insulation types. However, when we talk about the value for money, everything else begins to make more sense. 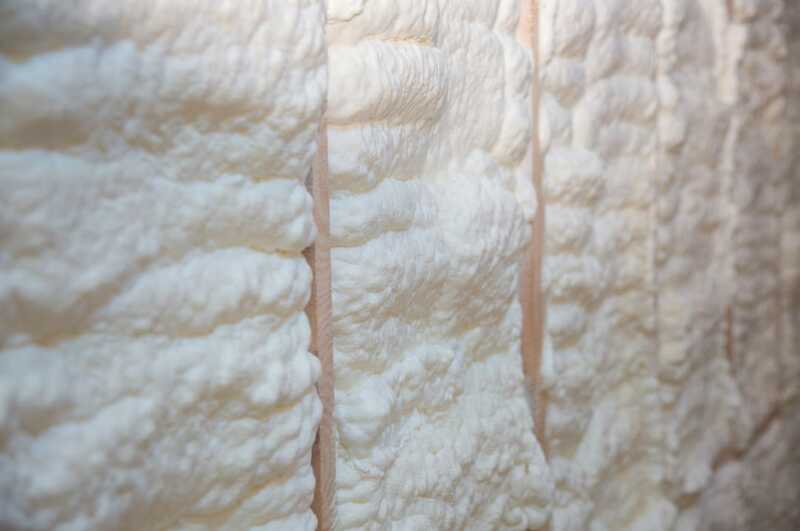 A few years ago, the cost of foam installation was even higher but now with more demand and ease of installation, it has stabilized a great deal. 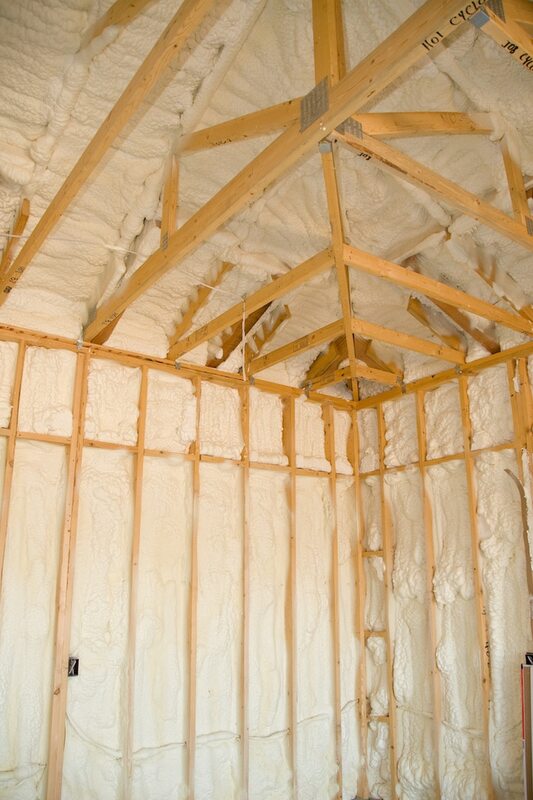 Always keep in mind that spray foam attic insulation is like a capital expenditure. It increases the resale value of your property. What if I only use my home during one season? 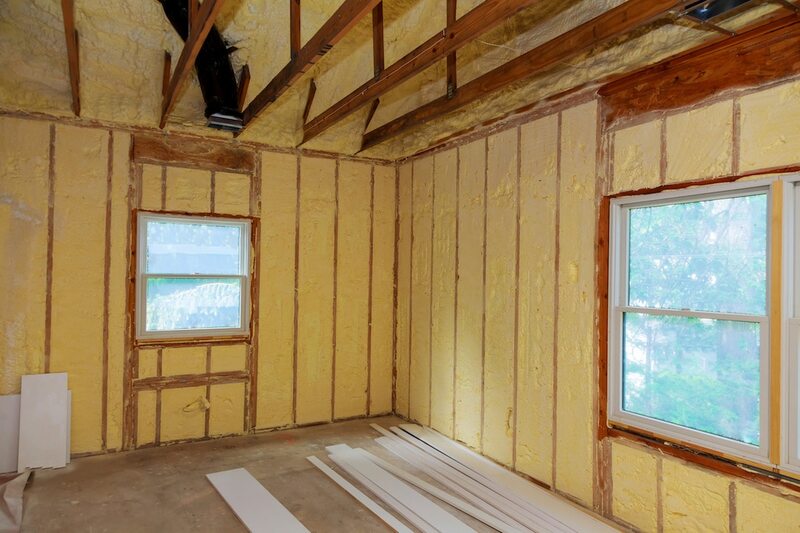 Can foam insulation only be used in new construction? If you only use your home during the winter or summer months, you should be more worried about what happens in it when you’re not there. Let’s discuss the summer, for example. During summers the traditional insulation types allow the humidity to sneak in. This could result in bugs, rodents, and birds living happily in the attic. Spray foam insulation, on the other hand, seals the outside of the attic, preventing humidity to enter inside. This reduces the chances of mold growth during summers and creates that unfavorable environment for other insects too. This is one of the myths about foam insulation which carries no weight. Foam insulation is equally effective for all types of buildings, whether new or old. The fact of the matter is older buildings can reap more benefits. 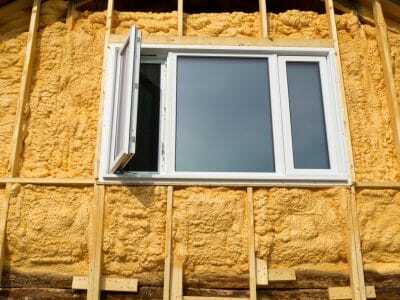 Spray foam insulation can be used in both new construction and existing structures. We recommend venting the house every hour during the first 24 hours of installation. The gasses in some cases will be produced for up to 30 days but they are not really dangerous. 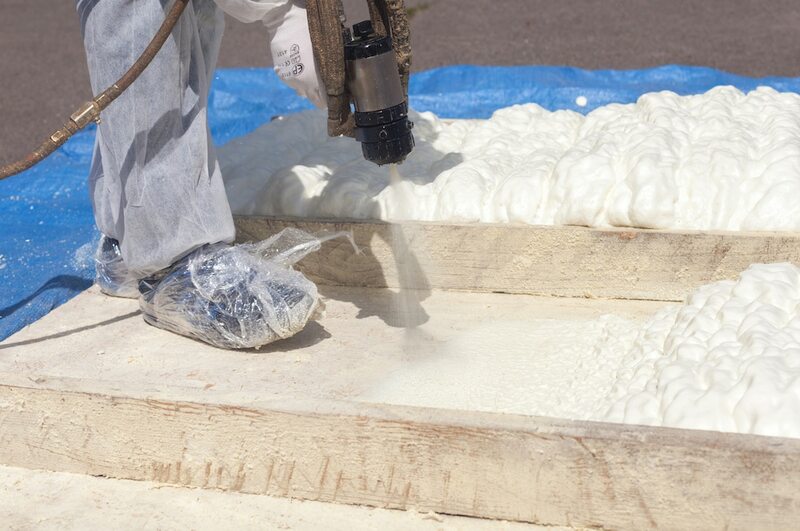 The spray foam is slowly becoming a norm in modern construction in the United States. The products from Spray Foam Insulation Indianapolis are all developed as per the highest quality standards. Everything we use is safe for the occupants and has been thoroughly tested. Ready to Start Saving On Energy Bills? Spray foam can also be used on ceilings under additional floors to add more rigidity to the floor and reduce noise. A multi-story building can make use of foam insulation on the second floor to prevent the sound being transmitted throughout the building. Mobile homes can also make use of spray foam insulation under the floor to prevent moisture from getting inside. 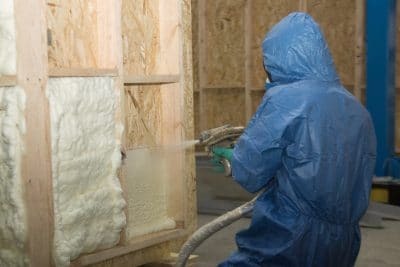 At Spray Foam Insulation Indianapolis, we believe that materials used in insulation play a pivotal role. We guarantee using only top-notch material in our projects and a professional and well-trained team throughout. 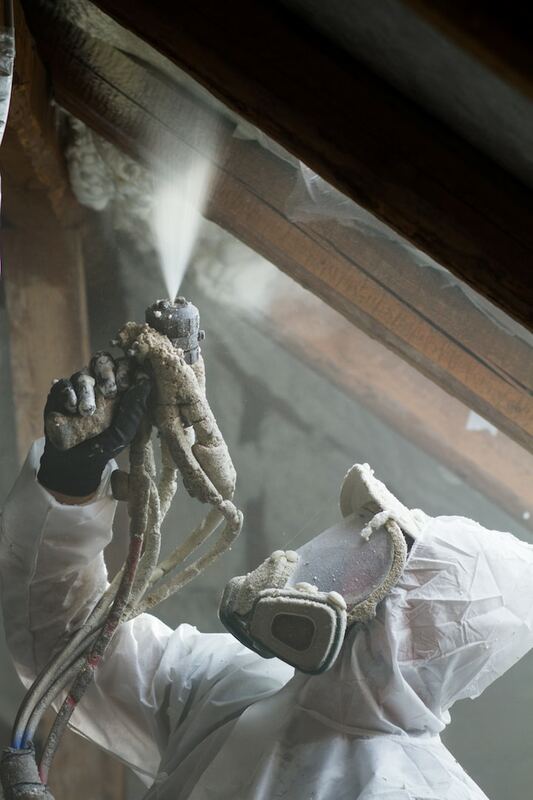 Our spray insulation can be used in many places like floors, wine cellars, attics, walls, metal buildings, etc. Our mission is to serve our customers with the best materials, practices and team while being affordable. All our foam applicators are specially trained to get it right the first time. They have been doing this for years and are the most experienced in Indianapolis. We also take great pride in providing high-quality customer service. You can reach us on the phone directly or request a callback. We thank you for your interest in Spray Foam Insulation Indianapolis.